Our forums were engulfed in a heated debate when controversial photographer Terry Richardson shot Porter‘s current cover and now he’s back again, shooting for Vogue China. Once a forum favorite, the Chinese fashion bible has fallen short lately, including last month’s disappointing Bella Hadid cover. For May 2017, the magazine welcomes back familiar face Liu Wen, who serves up a fairly pleasant cover image wearing head-to-toe Gucci. Members of our forums weren’t afraid to call out the magazine. “A Vogue cover by Terry Richardson? 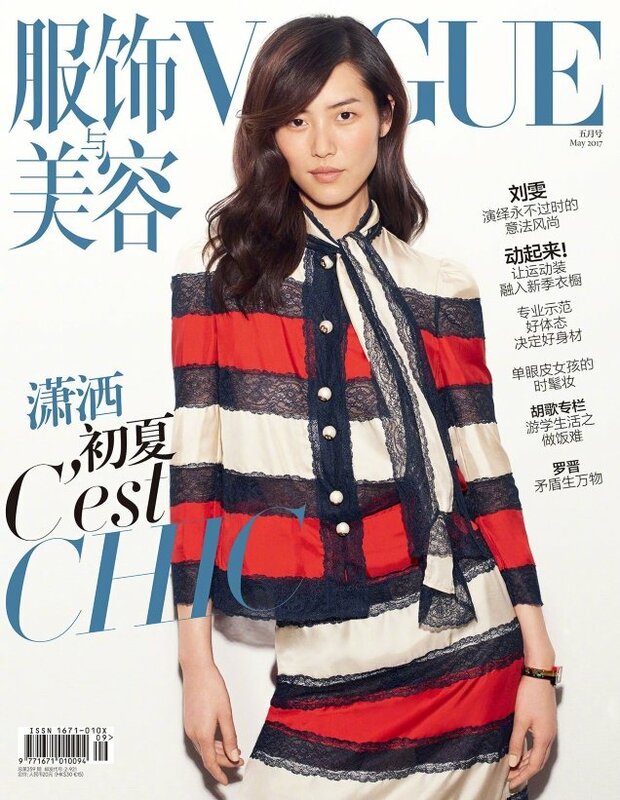 What’s wrong with the EIC of Vogue China” questioned a frustrated OllieJE. “Shame on you for using Terry! And the result is just as bad,” noticed Nymphaea. “Terry did the cover shoot for the December issue last year, so it’s not the first time they book him. #Shame! I thought this was Grazia China, LOL. They seem to make the cover more vivid by using the new layouts, but the cheap fonts make it worse, and the hair and makeup don’t work well on Liu Wen,” wrote MDNA. Sharing the same sentiments was KateTheGreatest. “This looks very generic, happy for Liu though. What are the chances of Terry retiring (since people continue to hire him) and giving other photographers a chance?” she asked. “Magazines are hiring Richardson, and he’s churning out conventional work and keeping himself clean at the moment, so we’ll soon reach a point where objecting to him will seem like people are making a fuss over nothing. ‘But that behavior was in the past’…” prompted tigerrouge. Orchidee wasn’t buying Chinese Vogue‘s choice of Terry either. “So great to have this come out during Sexual Assault Awareness month of all times,” he acknowledged. “Awful. They need to change their team. Meanwhile, I am about to look at old Vogue China editorials,” sighed a disapproving GivenchyAddict. Are you feeling it? Check out Liu’s accompanying cover story and add your own two cents here.